Automation is transforming the world of manufacturing, finishing, assembly and packaging, lowering costs and improving quality. RōBEX experience and expertise in our focus industries includes system design, engineering, fabrication, installation and workforce engagement. Our core competency is industrial contracting and our uncommon experience and expertise leads us to design, engineer and “create” custom purpose-built equipment as part of our “single source” commitment to customers. RōBEX has a global affiliation with one of the world’s leading custom manufacturers that enables us to solve customer production line problems in a timely, cost-effective manner. We know that every production facility has its own unique design, layout, systems and requirements. Not every critical component is “off the shelf”, so we often design and engineer specific solutions and engage the global expertise of our multi-location manufacturing partner to produce that equipment. RōBEX adheres to a very high standard of excellence as the benchmark for all of our projects. Thanks to our global manufacturing partners, we are able to design, engineer and deliver superior custom-built machines and tools to improve quality and reduce costs in virtually any industry. RōBEX provides innovative, engineered solutions that optimize production systems. We may analyze existing systems, integrate conveyors and robot-based automation to enhance workflow and operator safety. RōBEX designs, engineers and installs pallet conveyors to handle normal sizes or those with weights up to several thousand pounds. Typically, they must be flexible and durable enough to integrate with forklift transfer. Industrial turntables quickly position a load for processing or packaging. RōBEX can specify, design and install. The way a turntable is loaded (rolled, slid, or picked) and weight capacity are critical elements. Efficiently moving production pieces between work stations depends on size and shape, distance and more. Conveyors, rail cars or extended range robots are possibilities. RōBEX will design/install what works best. Sortation conveyors vary based on sort rate per minute (30-200 CPM) and whether purely mechanical or tracked by PLCs, relays or computers. Automated systems use robotic tracking, stacking and moving. Automatic pallet dispensers eliminate the need for humans in palletizing lines, robotic work cells, order picking and selecting. RōBEX will design, engineer and install the system that is optimal for your application. Moving heavy loads between work stations or to a palletizing operation is ideally suited to a chain conveyor. RōBEX has several propriety Chain Conveyor designs or can design/fabricate to meet your needs. Seeing an elegant, automated solution in 3D brings a “peace of mind” to clients and engineers. AutoCAD technology simulates complex operating systems. We also print precision parts in carbon fiber and other materials. Manufacturing quality requires well-maintained production equipment and intelligent RōBEX control systems including control panel design, labeling and barcode systems, traditional/wireless data tracking and staff training. Get to know our people, experience and capabilities and you’ll probably want to make RōBEX your automation and robotics partner. 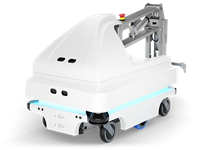 RōBEX is an Official System Partner System Partner with KUKA and a Certified System Integrator for UR Collaborative Robots and MiR mobile robots. Our team loves to address challenging new opportunities. KUKA is a dynamic automation and robotic enterprise fueled by innovation. They are one of the world’s premier automation companies with over 12,000 employees. KUKA has developed over 240 different industrial robot models for applications from machining, welding, loading/unloading to thousands more. Our partnership with KUKA provides our customers with access to an amazing range of automation solutions. 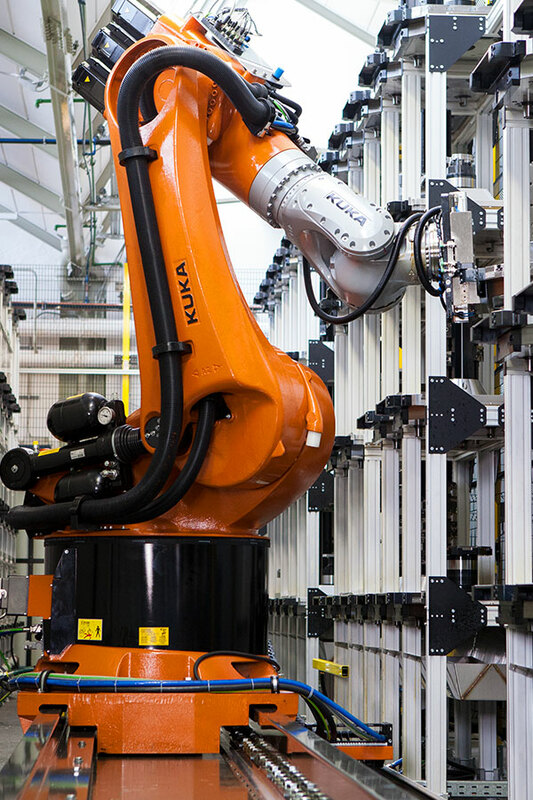 RōBEX and KUKA share the vision of implementing the power of automation to optimize production. 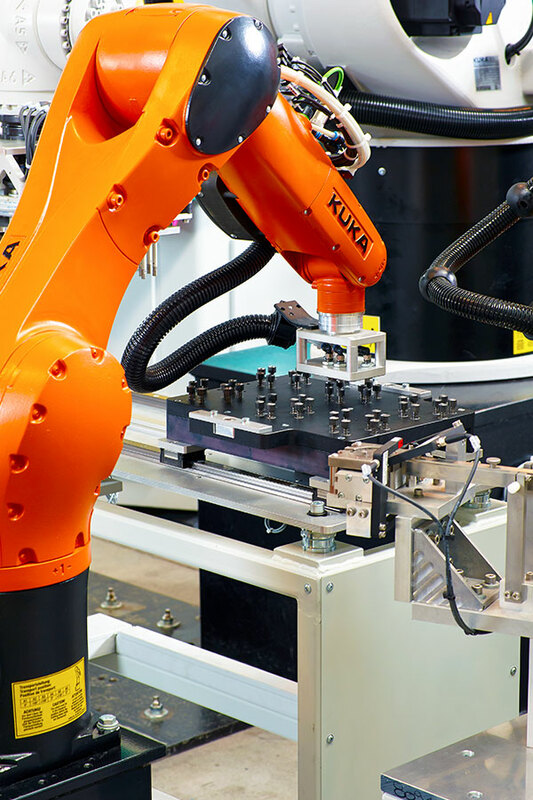 KUKA’s core strength is in development, production, sales and service of industrial robots for any application in any industry, mobile platforms, control systems and software solutions. Learn more at KUKA.com. RōBEX is a Certified System Integrator for MIR mobile robots. These amazing autonomous robots can transport virtually anything. Logistics are simplified, workflow optimized, productivity is increased while costs are reduced. The MIR product line includes 5 absolutely dependable, easily programmable models to transport pallets and loads of all sizes. 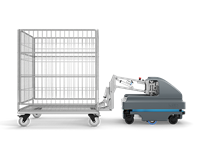 Transports up to 220 lbs (100 kg) and can be fitted with bins, racks, lifts, conveyors and even a cobot to meet your application needs. A very flexible mobile robot that transports up to 440 lbs (200 kg) manuvers around any obstacles and can be easily redeployed. The heavyweight designed to transport pallets and heavy loads in a variety of industries. It has a payload of 1100 lbs (500 kg) and has the latest laser-scanning technology for optimum safety and efficiency. 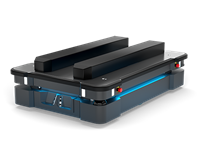 Designed for automatic pick-up and drop-off of carts up to 550 lbs (300 kg) in production, warehouse and healthcare settings. Can efficiently tow industrial carts weighing up to 1100 lbs (500 kg) and is ideal for moving heavy products to locations in warehouse, manufacturing or hospital environment. Count on RōBEX expertise and experience to work with your production team to help design and engineer the optimal workflow solution for product quality, productivity and safety while reducing ongoing costs. Ready for us to “install” your next employee? 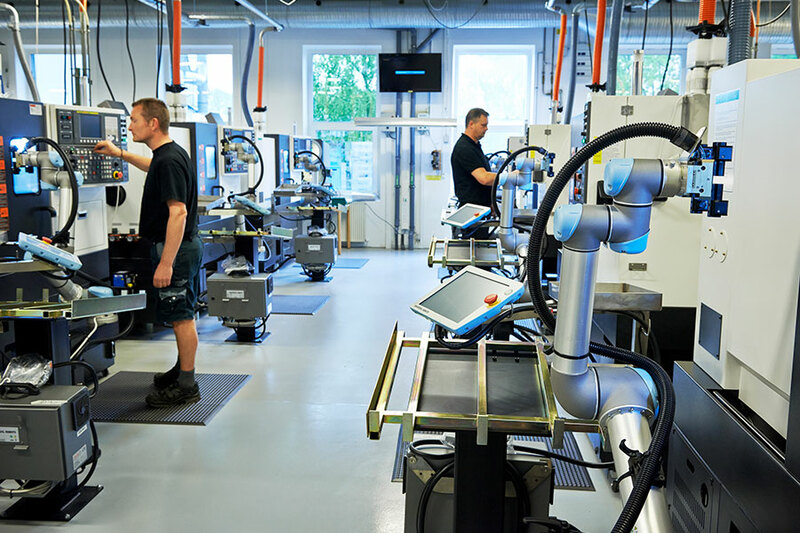 Collaborative robots often supplement large robotic installations and can automate repetitive tasks for even small manufacturers. RōBEX is a Certified System Integrator for Universal Robots--the global leader in the manufacture and integration of collaborative robots. These smaller 6-axis industrial cobots help customers improve efficiencies and reduce costs on the factory floor. Cobots are a prime example of our mission to provide innovative, valued-added, technology-based solutions. 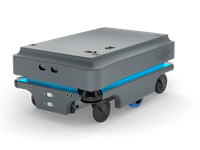 No experience is required to setup and operate a cobot thanks to embedded intuitive, 3D visualization. Install that new employee in less than an hour. These tireless workers are easy to unpack, mount and program to task. Payback is often 6 months or less, bringing automation well within reach for most companies. Lightweight cobots can be easily moved to new tasks or applications without changing production layout. Repetitive strain and accidental injuries are virtually eliminated. 80% of cobots operate without guards, right beside humans. Automates tasks up to 6.6 lbs. and has a reach radius of up to 19.7 in. Automates task up to 11 lbs. and has a reach radius of up to 33.5 in. Automates tasks up to 22 lbs. and has a reach radius of up to 51.2 in. You can now LEASE RōBEX Collaborative Robot technology for less than you imagine. Follow this link to see all the options available to help you streamline your repetitive motion tasks. Robots love any repetitive task, from palletizing and depalletizing to handling, assembly, labeling, packaging, welding and never get bored. RōBEX brings extensive industry knowledge, experience and in-plant expertise, so your transition to robotic integration is wildly successful. 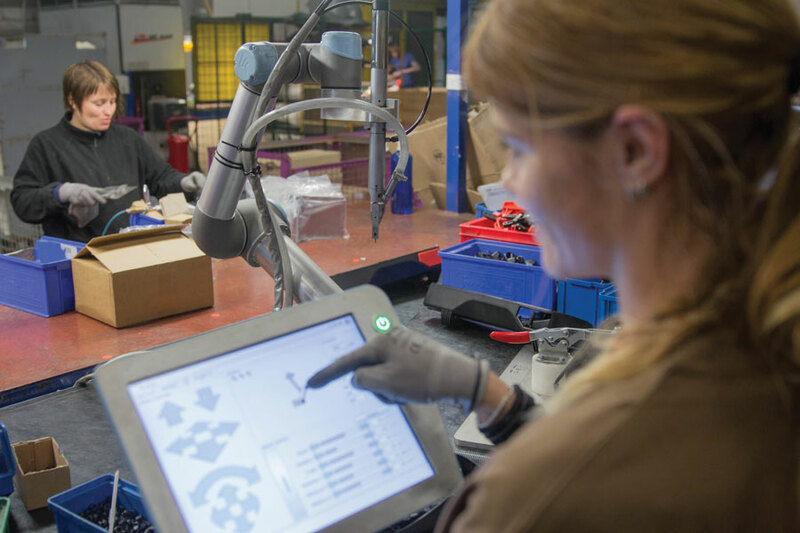 In some ways, they’re “dance lessons.” RōBEX has the experience and specialized engineering expertise to install both KUKA robots and UR cobots…and program them for specific tasks. We believe robot-based automation is a trend with positive effects in hundreds of industries. 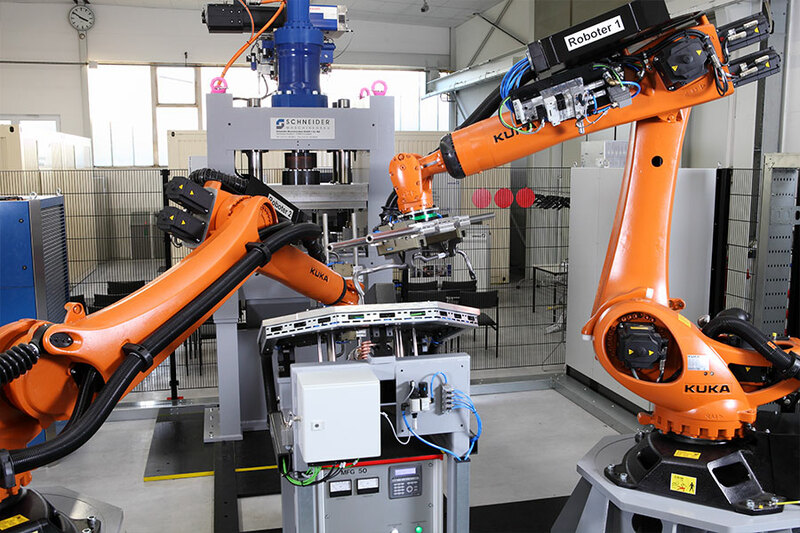 Both KUKA robots and UR collaborative robots require purpose-built end-of-arm tools (EOATs) to perform their tasks. With our design, engineering, and fabrication expertise, RōBEX can create the exact tools required, for sorting and stacking to labeling, packaging and hundreds of other tasks.